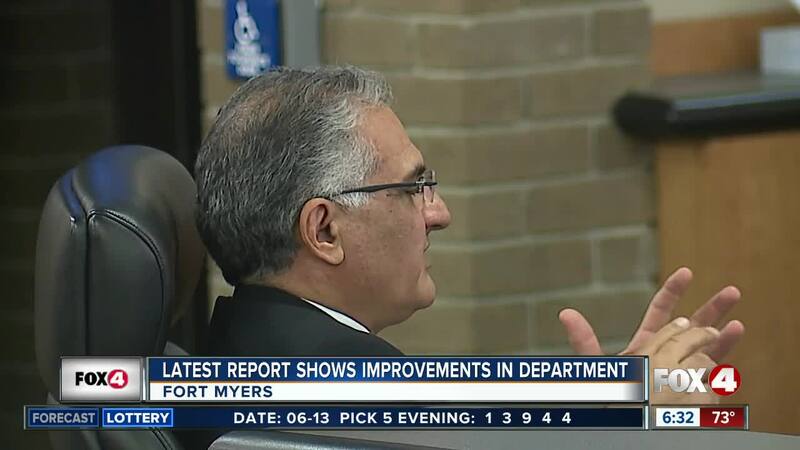 A new report shows the Ft. Myers Police Department has implemented half of the 32 recommendations made to improve the department. An independent group, Freeh Group International Solutions reviewed the department last year and found FMPD had issues with mismanagement and misconduct. The Freeh group says FMPD implemented some of the more crucial recommendations, including getting an outside department to investigate officer misconduct, and excluding the names of citizen complainants on memorandum to the city manager whenever there appears to be a security concern. The department now also ensures that the captain that serves as the Commander of Investigations is respected and trusted by other officers and outside agencies and finds safe locations for witnesses to give detectives information and stream lining investigations. Officers in the Fort Myers Police Department also requested for additional training regarding de-escalation techniques in order to properly escape conflicts they deal with. The implementation of this recommendation has been initiated and appears to be moving in a positive direction, according to the report. The department plans on implementing more recommendations this year. Those will look into how the new disciplinary procedures work and do a better job of communicating to you what's going on in the department.